You are at:Home»Business and New Markets»An Economic Question: Why are Russians Still Driving Lada? What do Cuba and the Russian Federation have in common? The greater majority of each nation still drive very old and outdated automobiles. Cuba has long received notoriety for its national pride in the restoration, maintenance and daily usage of classic automobiles originally produced and imported from America. Russia, on the other hand, maintains an attachment to an old fleet of automobiles that are less picturesque and sought after. This brings up the economic question: Why are Russians still driving Lada? The car brand for Lada originated as Volzhskiy Automotive Factory and would later be called AutoVAZ. The original Lada sedan was introduced in the Soviet Union in 1970. Similar to how Cuba acquired a large amount of Chevy and Plymouth classic cars back in the 1950s, Russia obtained a large fleet of Lada vehicles during the maturity of the USSR. Marketed as competitively affordable yet reliable for its money, Lada sales proliferated across Russia. Strangely, even as the Soviet Union fell in the early 1990s, Russians were hard pressed to get rid of their Ladas and update to more modern vehicles. Instead, a nationwide culture of Lada restoration took effect, and even residents of newly sovereign Soviet satellite states were acquiring Ladas built in Russia. The Lada became a worldwide commodity. “Almost two-thirds of Ladas went on to be sold outside of Russia, with more than 300,000 selling in Britain between 1977 and 1997.” However, in just the 10 years between 1994 and 2005, the Lada sales plummeted to fewer than 3,000 cars from the once 134,000 sold. Lada survived the fall of the Soviet Union and maintains its presence in Russia. So, what does this say about Russian economics? Plagued with embargoes, sanctions and a weak rapport with the world’s leading trade nations, the United States and China, Russia has dug into its own resources and labor to subsist economically, politically and socially. The continued use of Lada cars within Russia’s automotive industry is just one example of that. Realistically, the Russian middle class has weakened precipitously since the fall of the Soviet Union. Therefore, the Ladas owned once as a means of elevated consumerism and luxury have since fallen into a necessity. Most Russians maintain a low degree of economic freedom with an indexed score of 58 and a global rank of 98 out of approximately 180 countries. Therefore, buying or maintaining an economical car makes better sense. Russians ostensibly cannot afford more modern vehicles and instead rely heavily on the gusto of their Soviet automobiles to carry on. With the infusion of Renault into the company’s management, Lada is upgrading models and making a comeback as a, still affordable, but much improve automobile. Now, Lada is looking to the future of automobiles and competing with Chinese imports and other popular vehicles being driven by Russians. They are even creating better vehicles for the countryside. The Niva Off-roader should be out by 2020. Still, the issue of price competition will continue to drive consumers, literally and figuratively. For those families lucky enough to already own a Lada, they most likely won’t be upgrading anytime soon. 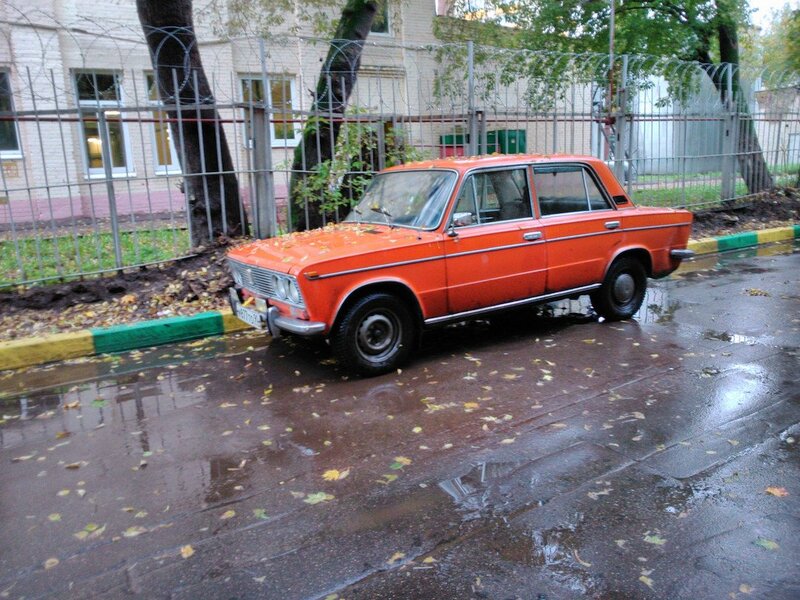 Until the economics of car-buying can adapt to the Russian middle class, expect to see Russians still driving Lada.